To the disbelief of supporters, Rev. 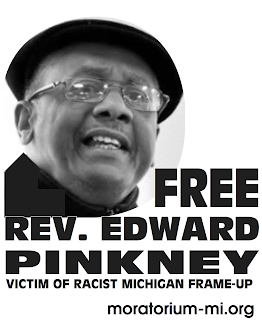 Edward Pinkney -- a courageous community leader who has dedicated his life to the defense of the poor -- was found guilty of all 5 charges on March 21. This conviction was made possible by a biased jury -- and the corrupt Judge, courts, police, and prosecution who were out to get Rev. Pinkney. Berrien County has a long history of 'doing what it wants' and what it wants is what Whirlpool wants. The court system is set up to keep the corruption and power structure in place and the people down. Prior to the trial, challenges were made to the jury selection process which disproportionately eliminates Blacks from the jury pool, but the Judge denied the motion. As a result, the prosecution's first victory came when an all-white, middle-class jury was selected. Glenn Yarbrough, the corrupt County Commissioner who was ousted in the contested recall election took the stand but the Judge refused to allow certain testimony necessary for the defense's case. When jurists asked why the courtroom doors were locked, the Judge lied, telling jurists that this was standard procedure. In fact, the doors had not been locked in the previous trial nor were any other courtroom doors locked in the Berrien County courthouse. They were locked to keep people from seeing what was going on. During the closing arguments of the defense, the judge allowed the prosecution to object to the defense's conclusions further tainting the jury's perceptions. The system of justice is broken in Berrien County. We must gather our forces together and fight forward. This struggle is about whether we're going to have democracy or fascism and should be of concern to every American. Rev. 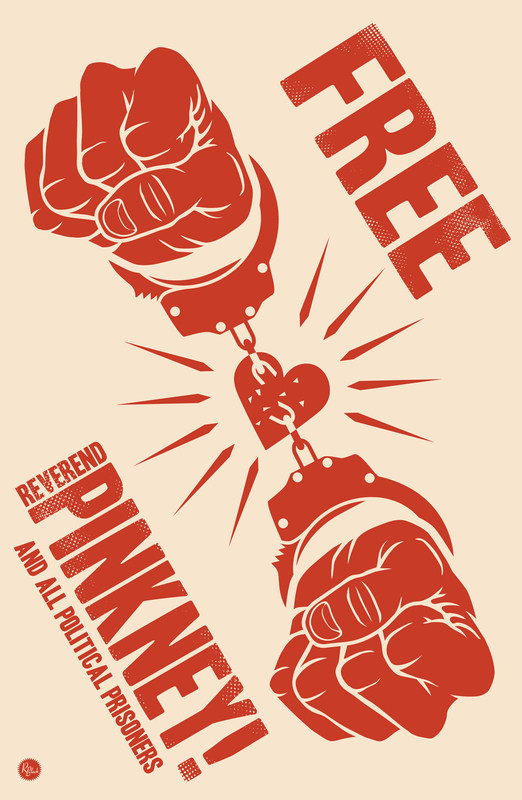 Pinkney is standing strong and is planning his appeal. He will also be filing civil law suits against several witnesses and the jury. Money and support will be urgently needed.